Check out these DIY screen printed canvas patches that are in the droidart store. 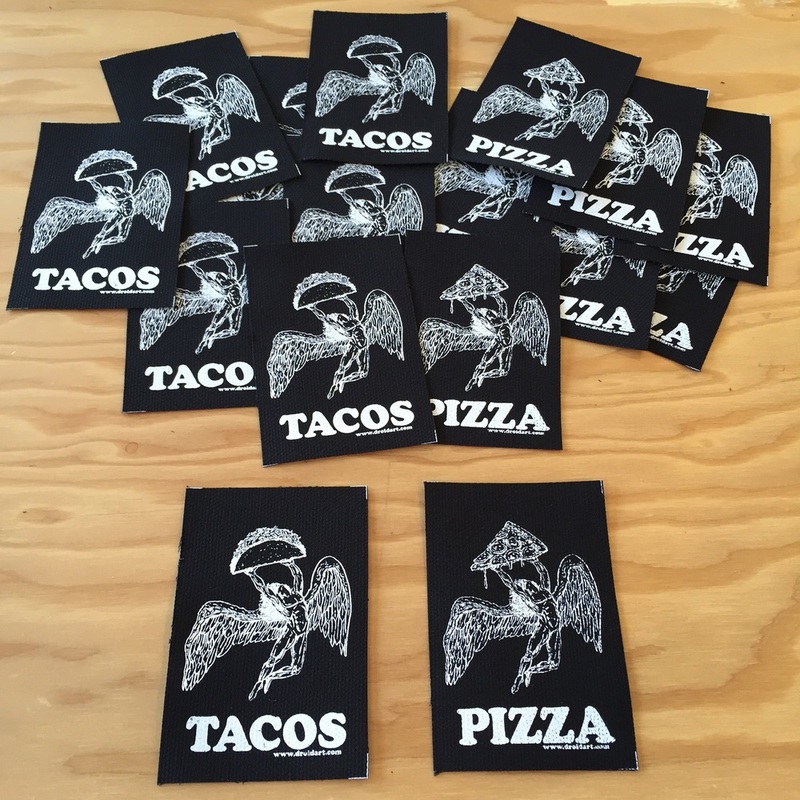 Limited to 50 pieces each, they are only $5.13 for one and just $2.13 for each additional patch. Stock up today!!!! YEAH! I added a bunch of new albums to the PIZZA ALBUMS II Archive. Check them out if you haven't yet, you might have missed one on the old Instagram (@THEDROID if you don't know). Included in this batch of uploads are a couple of winners from The Shrine, Hot Lunch, & MONOLORD. Howdy! Just added another batch of Pizza Albums to the site. Go check them out if you haven't already seen them on Instagram (follow @TheDroid). 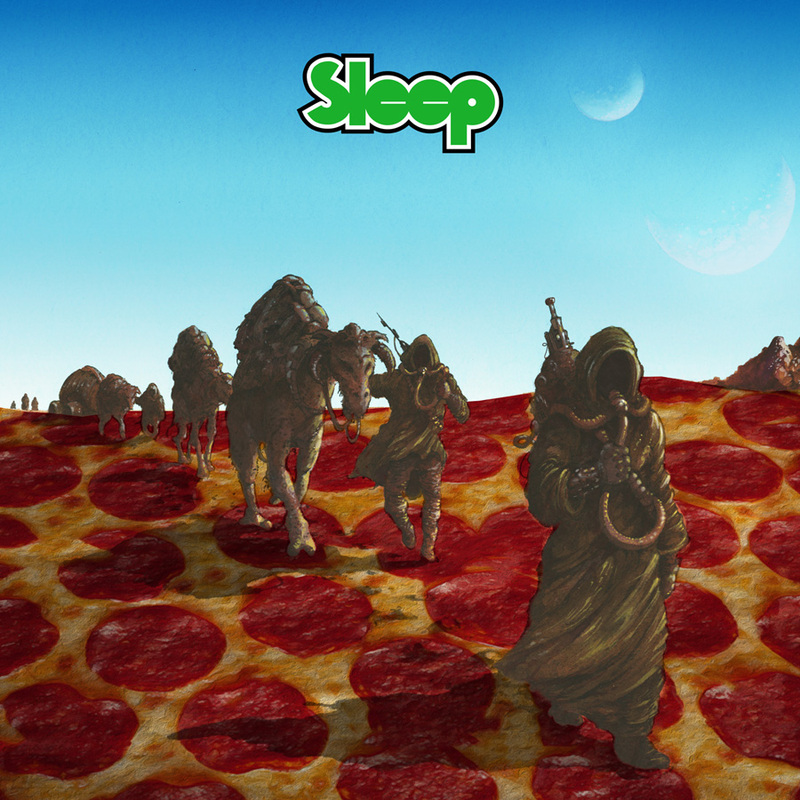 There are some fan favorites in this round such as this SLEEP album. Also, I want to say thanks again to everyone of you out there that recently purchased a Riding Easy Records Pizza Worship raglan or other item from the web store. It is truly amazing seeing these things I make be shipped around the world. Amazing! You guys rule. There are a couple of new items in the works for the upcoming holidays so keep your eyes peeled!